Earn 2495 points to spend on future purchases. When it comes to toughness, SimplyGo is no pushover. With a long-life compressor, high-quality parts, a high-impact resistant design, and oversized cart wheels, the SimplyGO POC is built to set new standards of ruggedness. During development, SimplyGo was rigorously tested and subjected to extreme conditions including drops, impacts, vibrations, and temperatures to ensure reliable performance day in and day out. SimplyGo is proudly built to last in the USA at Philips Respironics award-winning manufacturing plant in Kennesaw GA and includes an extended 5-Year Manufacturer's Warranty. SimplyGo's non-clinical styling and ease-of-use make it great to use and appealing to live with. Whether it's a day spent with family at home, a walk across the street, a ride across town, or a trip around the world, the SimplyGo has the power, the style and the looks to get you there. SimplyGo is approved for use on commercial airlines by the FAA. SimplyGo has more than twice the oxygen output of any POC weighing ten pounds or less. That means SimplyGo will be able to keep up with your portable oxygen needs today, tomorrow and for years to come. 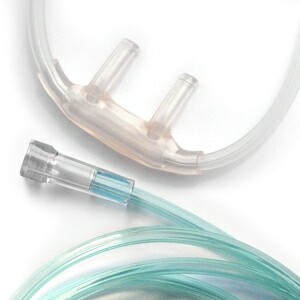 SimplyGo offers oxygen delivery in three convenient modes: Continuous Flow Mode, Pulse Dose Mode, and Sleep Mode. Sleep mode is similar to the Pulse mode; SimplyGo detects when the user begins to take a breath and then delivers a pulsed volume of oxygen determined by the setting number. The Sleep mode differs from Pulse mode in that it provides increased trigger sensitivity and a softer pulse for exceptional comfort. If no breath is detected for a period of time, the system automatically delivers a continuous flow of oxygen at a rate consistent with the last used Continuous Flow setting. One of the keys to SimplyGo's portability is its lightweight and compact battery (like those found in many laptop computers). SimplyGo's battery is immediately accessible and can be easily switched out when a new battery is needed. There are no awkward external battery belts or connectors that get in the way, or hard-to-maintain internal batteries. The basic SimplyGo system comes with one Lithium Ion battery so you don't have to buy more batteries than you need. But if you want more power, extra batteries fit easily into the SimplyGo's zippered pouch or handy accessories bag. Want more time away from fixed power sources? Simply take along more batteries. Does the SimplyGo Have Filters? The SimplyGo is equipped with a permanent internal bacteria filter. There are no user replaceable filters on the SimplyGo and the internal filter should generally not need to be replaced during the normal working lifetime of the unit. In the Package SimplyGo Portable Oxygen Concentrator, Carrying Case, Rechargeable Battery, Mobile Cart, DC Power Cord, AC Power Cord, Accessory Bag, 10 Nasal Cannulas, 3-Year Manufacturer's Warranty, and Printed User Guide. Additional Batteries, Extended Warranty and Other Extras included depending on Bundle selected during checkout. Each SimplyGo carries an FAA Approved Label for Easy Identification This product is approved by the FAA for use on all commercial flights within the US and all international flights that depart or arrive in the US. Click here for TSA / FAA information on traveling with sleep and oxygen therapy. Always contact your airline prior to your flight to confirm any requirements they may have (i.e. a copy of your prescription or a letter of medical necessity) for allowing your device on board. Oxygen Percentage Indicator Yes. Audible & On Screen Low Oxygen Concentration Alarm. Performance is perfect for my needs. A very nice machine with the three action modes, the continues flow, which makes it compatible with CIPAP, the pulse flow, and the night pulse flow with higher sensitivity to shallow breezing. This is a very good bundle as it allows for a versatile use in almost all conditions. After some miscommunication between my physician and Sellers, everything fell into place within 24 hours, including shipping from New Hampshire ro the State of Washington. As for the machine, far superior to my inogen machine. I would advise that people buy an extra battery and the cart. I am so pleased with all services rendered by direct home medical and the politeness of their sales personnel. The concentrator is great, however, with 297 hours and less than half of those hours with the AC charger, the charger has already crapped out. with the price of the charger , I'm beginning to wonder if I made a smart move buying this concentrator. I will buy another charger and see what the results are with it. So far, the DC charger is working like expected and I have used it more than the AC charger. I did notice that the alternator in my car will not keep the concentrator fully charge but my pickup alternator has no problem with it. 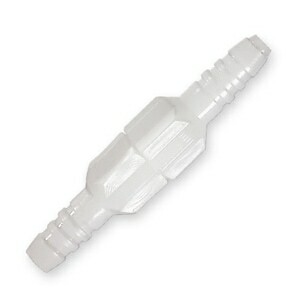 On the recommendation, it is a good concentrator and if I recommend it, I would also advise about the charger. I need supplemental 02 as part of my sleep therapy. I have a humongous concentrator in our home. Not a viable travel option. I have been renting a machine when I visit family in NYC. But when traveling to multiple locations, this is also not viable. Purchased the Simply Go. It is not light or tiny but perhaps it is when compared to the alternatives. I tested it for a few nights and my 02 saturation was great. It is quieter in the bathroom than in the room. But I am confident in 3 weeks when we go overseas that this dual voltage device will work for me. I talked to a rep and they helped me figure out what concentrator would work best for me, they even called my doctor and got the prescription for it for me. EXCELLENT reps to deal with SO HELPFUL. After receiving my machine I charged up both batteries (I bought an extra one) and then proceeded to use it in the house to check it out and make sure the oxygen was enough for me and etc. when I took it out of the home. It was GREAT! I actually got better readings from this nice smaller machine than I do with my huge electric one in the home. The batteries lasted as long as the advertisement claimed. BEST PURCHASE EVER!!! Thank you Direct Home Medical for your kindness and helping me choose the machine that best fit my needs outside the home. I recommend this product to someone that likes to get around. I have only had it a few days but it runs circles around the one I had before. I plan on doing traveling and this will be by my side. I will even take it on my quad. I had rented this product before purchasing. I might have been intimidated if that had not happened. But when I unpacked the Simply Go, all I had to do was charge the battery and attach the tubing and I was ready to go. During the day, I use one length of tubing. At night, I have a longer tubing that allows me to park the device and turn over while sleeping. It also allows me to walk to the bathroom easily and get dressed. The easy to use setup folder indicates that up to 30' of tubing can be attached. When I have the shorter tubing attached, the device is easy to pull along on its cart. It does require wrist mobility. I am very happy with purchase. The pulmonologist would not recommend a portable unit because my mother needed continuous flow O2. This model was the only one that was available although other people say that they have ones that weigh very little. ( we bought 10 lbs, they have 2 lbs.) However we have not seen their machines. It is bulky and batteries only last 1 hour. However it is doing what the information stated so I can only complain if there are other models out that weigh less. The Philips Respironics 1083692 DC power module uses all of the 18 Amps supplied by the vehicle's 12 volt DC power source; therefore, burning out the wiring of the vehicle's DC power source over a period of time. I was out 300+ dollars getting the vehicle's power unit repaired and was informed that the same thing would happen by use over a period of time with the power cord. It was recommended that I purchase an inverter. SimplyGo by Phillips/Respironics is a good choice if you are traveling. It is FAA approved. It will also provide both continuous flow/pulse/and night pulse oxygen. Continuous flow is limited to 2lpm, but the pulse flow goes quite high. It will operate on a variety of power including battery, AC or DC with the right connectors. Battery life is around 3 hours depending on your oxygen need. I think batteries are only good for pulse, but I didn't try continuous flow. One positive is the continuous flow will work with a CPAP and this is really the only portable POX that I found that will do this. It's pricey, but worth it. I'm a bit concerned about maintenance because my oxygen provider doesn't support them. Guess I'll cross that bridge when I need to do so. bought this machine a year ago. Have only used it twice as it is so loud. First I bought the Everflo model for the house then added the SimplyGo model and had expected everybody staring at me which never happened. With the "Simply Go" I can shower better, and not become winded and tired and out of breath at the super market, or anything I did/do normally again. These Phillips machines are strong, quiet nurses for our lungs.They've certainly changed my life. I had a Simply Go for a couple of years. My provider no longer covered it and I liked it so much I decided to buy my own. I love the adaptability and flexibility it gives with continuous flow, pulse and sleep. With other portables it's primarily only pulse - so though they are lighter - they are not as flexible. I carry the unit in my carry-on when I fly with no problems. Especially if you need continuous O2. Compact, easy to get around, light though we use the included cart. Fits in overhead compartment if not needed and the airlines all recognize the make and model as acceptable for FAA regulations. Functionally, the unit is great, as good or better than the bulky home unit I have. One caveat, it limits output to 2 lpm in continuous. Right now that's what I use. hope I never have to need more in which case, I have no idea what I'll do. Very easy to use though the need to double press buttons seems counter-intuitive. Still, it IS a good way to prevent accidentally turning the unit on. Very quiet and works on both North American and European voltage. What's not to like? I am enjoying my new Simply Go POC. I especially like that it has a sleep mode as I suffer from sleep apnea. However this unit is very heavy to me. My former unit was an EverGo and it was not as heavy and held 2 internal batteries that lasted far longer than this POC. You definitely have to carry extra batteries. Just used on an overnite trip this past weekend. Worked fine and wife slept peacefully with it all nite. It was quiet and didn't keep me awake either. I purchased this on sale and I couldn't be happier! Being able to use a humidifier is a huge plus. Very quiet, especially at the lower settings. It is very easy to move around and looks very similar to carry on baggage. Works great but louder than I thought it would be. I needed to go to help my daughter move into a new home. My dad is 94 years old and needs oxygen at night. We tried renting one but none was available. I ordered the Simplygo Portable Oxygen Concentrator Bundle and was able to go with my dad to my daughter's new home. We can now go anywhere overnight without worrying. It works just as described! My dad and I couldn't be happier. I haven't owned this very long- but I am glad I bought it. It represents freedom to go whenever I want. Will have to see how things go with it. Can't beat the 5 yr warranty. I bought this for my mother. She uses it on 2L continuous when we go out. The unit and bundle are excellent - just as advertised. However, we have never gotten more than 20-25 minutes from each battery, which is a major concern since I want to take her on a flight. I bought 3 batteries to ensure we would always have enough power, but have been disappointed. We purchased our unitr less than a year, the indicator lights on one (Asian manufactured) original equipment battery failed. The battery was about 7 most old. No sympathy from the supplier (not this website) or the manufacturer. I ordered the SimplyGo because I like to simply go without all the hassle of "what to do about my 02". I have been very pleased with the product. It is easy to use and very easy to transport. I am also using it full time at home instead of the large bulky concentrator. The price was very affordable as my insurance would not authorize a POC. The service I received from DirectHomeMedical.com was exvellent. This system replaced another (Airsep Focus) and at 2 liters/min my blood O2 is greatly enhanced. I needed another battery (5) for an international flight and the folks at DirectHomeMedical were very helpful. The concentrator is much quieter than I had experienced with the Focus. I am very satisfied with both the SimplyGo Concentrator System and with the people at DirectHomeMedical. Company and Employees are all wonderful to do business with. Questions were answered quickly and the pricing and quality of the products meet and exceeded our expectations. This is one company that I will continue to do business with. Shipping happened as promised and received in good order. I have just received and started using my Simply Go. It appears to be the perfect answer to my breathing needs. I had a lung transplant ten years ago and recently needed to add oxygen again. While the Simply Go weighs 10 pounds and I am in a wheelchair it hangs on the back of the chair. I like it because the noise is so quiet. Most of all, I was treated so warmly by their agent. Clarisse. I made several other purchases which guarantee a long time oxygen supply. Thank you Direct Home Medical. I like the size and the weight is more managable than the machine I rented when I went away. I'm a sucker for style, and this unit really fits the bill. The 'carrying' case makes it look more like luggage than machinery, which is a good thing. The come-along with large wheels is perfect for mobility. If only it provided 4 lpm continuous flow instead of only 2.
nice and light, quiet, transport cart is great. will be used when traveling with bi-pap at night, so perfect for my needs. This Portable is very quiet. After weeks of shopping and comparing I settled on SimplyGo and have no regrets. Easy to use and very quiet. Couldn't ask for a better portable concentrator. Looking forward to to doing some traveling this spring and confident that everything will be enjoyable with my new SimplyGo! Loved this site! Easy to maneuver and simple instructions. I was so tired of looking at other sites while sales people wanted to 'call me' with information. I just wanted prices so I could buy a concentrator. And that's what Direct Home Medical provided. Their ordering and shipping earned 5 stars without a doubt. For six months, at $208.00 a month I rented a continuous flow concentrator and portable cylinder tanks. I use no. 2 setting, and found that now I get by just fine and prefer no. 2 pulse mode setting. (I was at 7,000 ft. elevation this weekend, the no 2 pulse mode setting worked great. I had two full batteries, one of them placed in the battery module, 7 hours later, when I plugged into an AC outlet, I still had half a battery left.) I'm so very pleased that I purchased Simplygo. I'm looking forward to being able to fly again. THANK YOU Direct Home Medical also, for the great price. Glen, a Happy Simplygo customer. My husband and I are so glad to have been directed to you. We live 200 miles out of Anchorage Alaska so having your product delivered to our home was excellent. The simply Go is perfect for me. I am a small woman of 4'10" and 90lbs and the machine is easy for me to carry and works so well. It is fairly quiet and my husband says it does not bother him at all when sleeping. We have a lot of blackouts in our area so the battery back up is really a plus for us. I haven't flown with my machine yet so I can not speak to that but I would absolutely recommend it. It works like a dream and is easy to move from room to room. 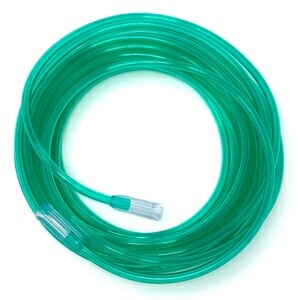 I keep mine plugged in so I would recommend getting a longer cannula tubing. But other than that I love my Simply Go. Fab-Fab. From start to finish. Dad is very happy with his Simply Go. He used in the the 4-day car ride from FL to NY with great success. He has used it constantly, and comfortably for 2 more weeks at home while he waits for his larger oxygen concentrator to arrive. This concentrator is by far the most compact and lightest of my prior oxygen concentrators. The price for this bundle beats any others that I shopped for. I would like to have a backpack for this concentrator as the shoulder strap can cause strain on anyone with weak shoulders. Though not near as noisy as a standard O2 compressor, this model makes weird sounds as it "ramps up" in certain modes. This made falling asleep and occasionally staying asleep difficult. It took more time for us to adjust to it. Unless we're wrong this is normal, if not the company should call us.... The older model seems quieter as the noise is at least consistent. This is a first class unit with so many options. With 3 settings and 3 modes of power your movements are not impaired by your need for oxygen. If you can move a small luggage cart you can move your oxygen supply anywhere you wish and not have to carry it yourself. It is very comfortable. And a key factor it is so qiet you may have to look to be certain it is on. When making your flight reservations be sure they put you in a window seat, if they don't they will need to move you once you get on the plane as it is the law that you have to sit in a window seat when flying with at POC because of the tubing. When flying with your POC you will experience a need for increased oxy. because of the altitude. On the ground I had my POC on 1.5 - 2 pulse but in the altitude I need it to be on 2 continuous which cuts into your battery time and for me one battery set at 2 continuous lasted a little less than one Hr. so be sure to be prepared for that type of situation and have plenty of charged batteries with you. Drink lots of water while flying as you do get dehydrated and know that when you land, having been in the altitude, it will take you a short while to a just once you have landed and you will probably need a little high setting on you POC at first. It is a good idea to conserve on your energy and oxygen by ordering a wheel chair when you make your reservations. They will meet you curb side and take you and your traveling companion through security and to your gate and will meet you when you get off the plane to go catch a connecting flight or go to baggage claim. Just give them a nice tip. They move you quickly and know the short cuts around the air port so you go ahead of others through security ( so does anyone traveling with you) and they make it easier for you to catch connecting flights. Always plug in to charge your POC when ever you can while waiting for your plane, there are plugs all over and you want your battery as charged as you can have it. Also you can charge your battery in taxi or car on way to and from the air port. Travel with a 50 ft. long tubing so you can put the machine down and walk all around in your room and leave the machine in one place. Simply Go - so happy I found you! Shop on line for deals on extra batteries. Excellent size and weight for on the go with you, and yet can still be used at night while on trips! The equipment works great better than expected. The Respironics EverFlo Q is wonderful my wife and I sleep much better because it's much quieter then the clunker I hade before. The SimplyGo gives me a world of mobility I didn't have before. The price for both units as a package was the best I could fine on the internet. Since I have received this unit I have been happy and could not ask for more. product excellent, completely satisfied, great service with personal contact, will definitely recommended. I have now had SimplyGo for almost three weeks and it is really great. Easy to operate, quiet, and light weight. I would recommend buying a second accessory case if you have multiple extra batteries along with the vehicle and house use charging cords. I put the extra batteries in one case (4 of them) and the two charging cord in the second case. They were shipped to me very quickly which I greatly appreciated. This is a very nice oxygen concentrator, having many features not found on other units. It is compact, quiet, and works well. The customer support I received from this company could have not been any better! Pricing was also very competative. I recommend. In use one week and am very pleased with the machine. the only fault I can see in the short life of the batterys but this was known at time of purchase. I I would recommend the machine to anyone who might ask about the machine. I am very happy with the SimplyGo machine. Just took a trip and it was easy to transport and had no problems. The price was the best I could find and it was a simple and fast process to purchase. wonderful unit BUT too many power supplies! 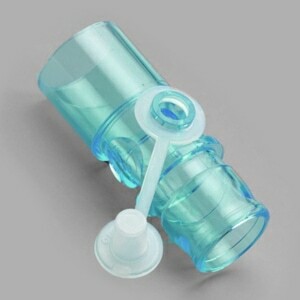 This is a really fine portable O2 concentrator. Compact - quiet - very simple to operate. The battery is very easy to change. My only criticism is that there are too many power supplies. They don't even fit in the little accessory bag that is supplied. Their combined weigh is nearly equal to the concentrator. Given the power requirements and related technical issues there may not be a solution to this problem. If there were I would give this unit 7 or 8 stars! We received our Simply Go portable concentrator on June 18th and have not had time to experiment much with the travel part of the unit, but are planning on going to Colorado in July to see our 1st great granddaughter. We will be giving our unit a workout then. 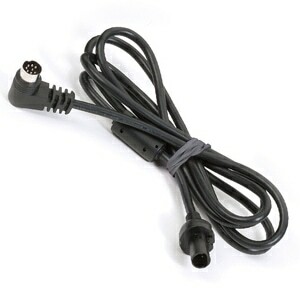 Though we will be driving this time, we also purchased an airplane power connector in case of emergency. So far we have been super pleased with the unit. Easy to use, very portable, low noise. I'm able to travel and have continuous flow oxygen for nocternal use. Just plug it in and go to sleep. The unit is only 10 lbs, minimal set up and easy to use. Very happy with this buy. Are you on the go a lot and hate carrying an oxygen tank or the burdensome Eclipse? Throw the tanks away! Stop lugging the heavy vacuum like Eclipse. This is the concentrator you need! I had the Eclipse and was so over throwing it in the car and dragging it behind me like a ball and chain where ever I went. I wanted to have something that was REALLY portable and although the Eclipse goes up to 3lpm and the SimpyGo only goes to 2lpm I cannot imagine using anything else now. Very pleased with the purchace of my SimpleGo unit easy transaction and promp delivery. I received this unit just before I was to fly out of town for the Thanksgiving Holiday. I received my unit and it was easy to set up and easy to use. Even though it is light enough to carry, I love the fact that it has the cart. I love that the cart has a stand so I don't have to worry about it falling over. I am overly satisfied with the service that I received from Direct Home Medical and I love my new unit. I would recommend this site to my friends and family. Pros: Excellent machine, good warning and alarm signals, easy to use. Would recommend to all. Con: Heavier that I thought 8 lbs was. Simply on the go, in style. I am extremely pleased with the quality and performance of the SimpllyGo product. The total package provides a ready to operate anywhere solution. I own a Responics Q for my everyday use. It was an easy decision to purchase the SimplyGo because of my experience with their products. We are leaving on a cruise later this month, and are pleased that the SimplyGo is FAA approved, and welcomed by our cruise line. Thank you for great service and a timely delivery.